Have you ever been on holidays and bought a painting from a local market to remind yourself of the good times you had? If so, bring that painting down to Fastframe and we’ll make it look like a masterpiece! 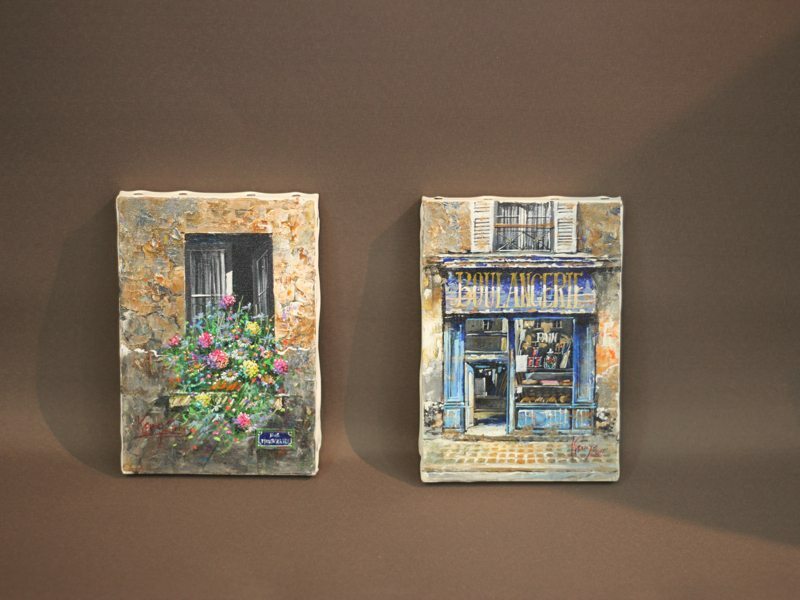 Take as an example these pretty paintings from France. 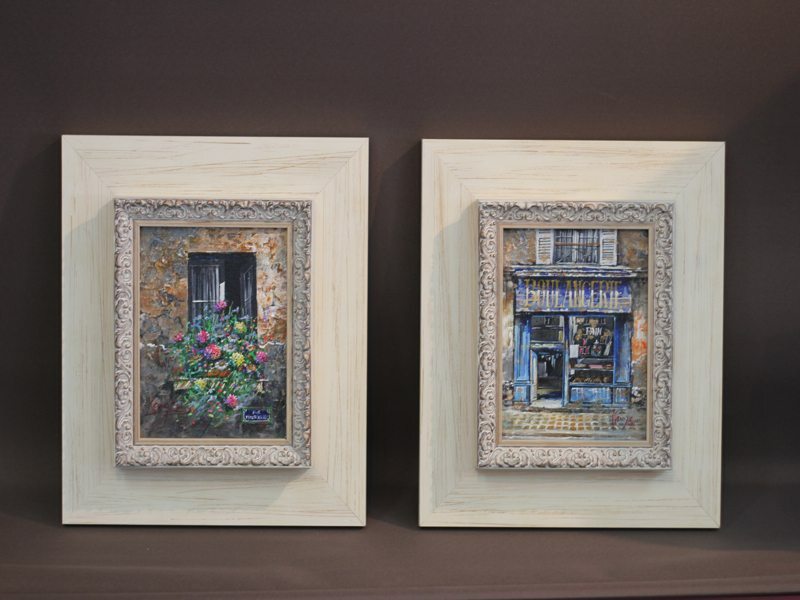 Our customer bought them unframed or stretched from a market in Paris. Our first step was to stretch the canvases, however without a frame they are lost. 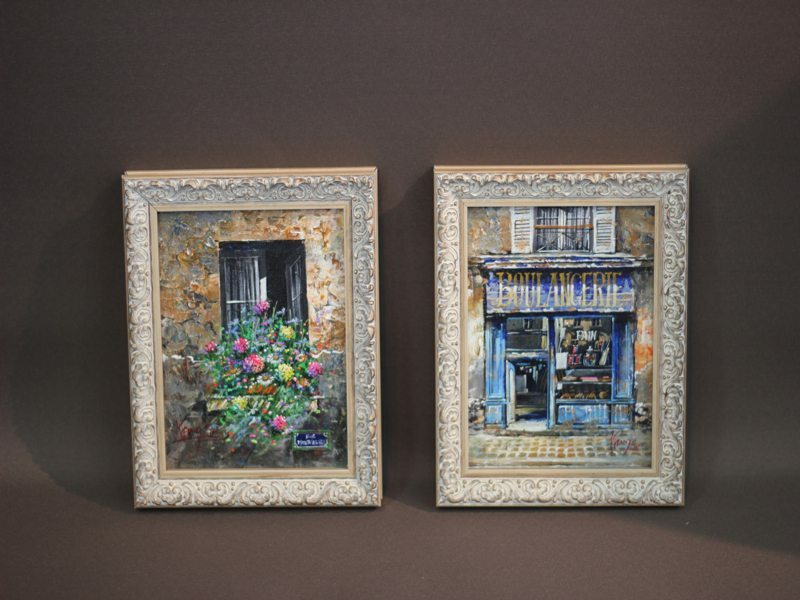 We wanted to enhance the romanticism of the paintings, so added a sweet, intricately detailed frame. The small pattern highlights the prettyness of the paintings. Without overwhelming them. We then recessed a plain, white, wooden frame around each framed painting. This makes them stand away from the wall like little windows into her holiday.